Yeah, so I don’t quite get the name. The door of the cafe is… a door. It’s not really “open” unless you walk up to it (it’s an autodoor). It’s a cafe, yes. It has a couryard… sorta. In true Hong Kong fashion, it’s a tiny courtyard. A small open space where you can see a slice of sky, surrounded by towering walls. Still a nice cafe. Do visit and have a cuppa. 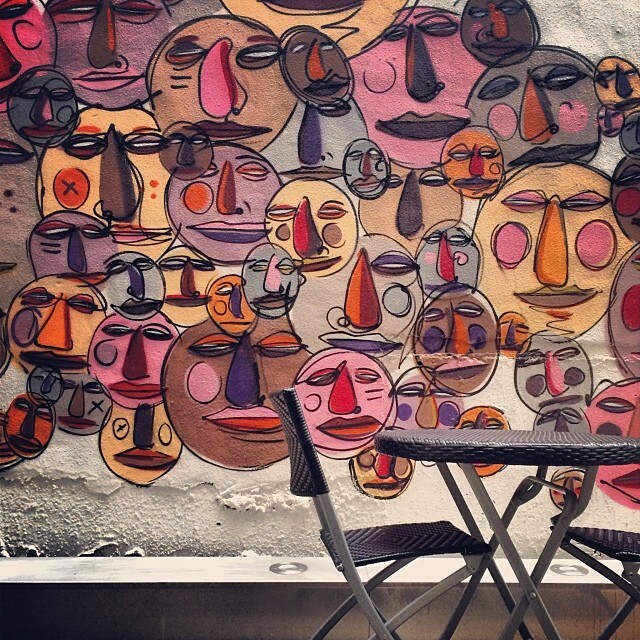 This entry was posted in Instagram and tagged cafe, courtyard, grafitti, sheungwan. Bookmark the permalink.